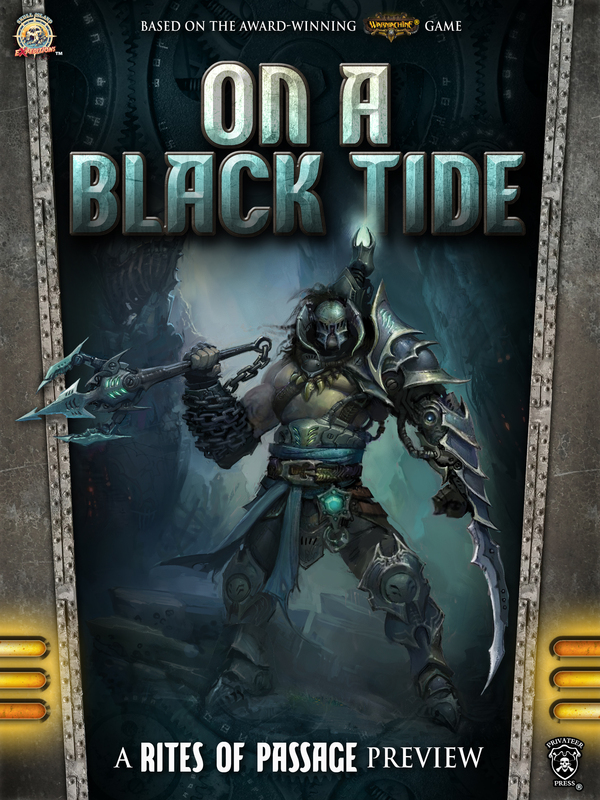 A WARMACHINE novella I wrote that was included in a larger collection called Rites of Passage. It was also released individually to promote the larger collection. They say the waters of Cryx run black with ancient evil . . . In the port city of Blackwater, deep in the heart of the Nightmare Empire, life is short and brutal. Murderous gangs rule the streets and surviving to adulthood means being more vicious and uncompromising than those around you. The only hope of escaping the gang-infested streets is to join one of the many pirate vessels that launch raids from Cryx against the mainland. For Aiakos, a strong yet undisciplined street thug, the opportunity to join the pirate ship Scythe in a trial by combat is the chance of a lifetime. But as he soon discovers, fighting his way onto a Cryxian pirate vessel is only the beginning of the bloodshed. When the Scythe is drawn into the schemes of the powerful Satyxis Admiral Axiara Wraithbane, Aiakos once again has a chance to improve his station . . . or die trying.